Pork is the most consumed animal protein in the world. 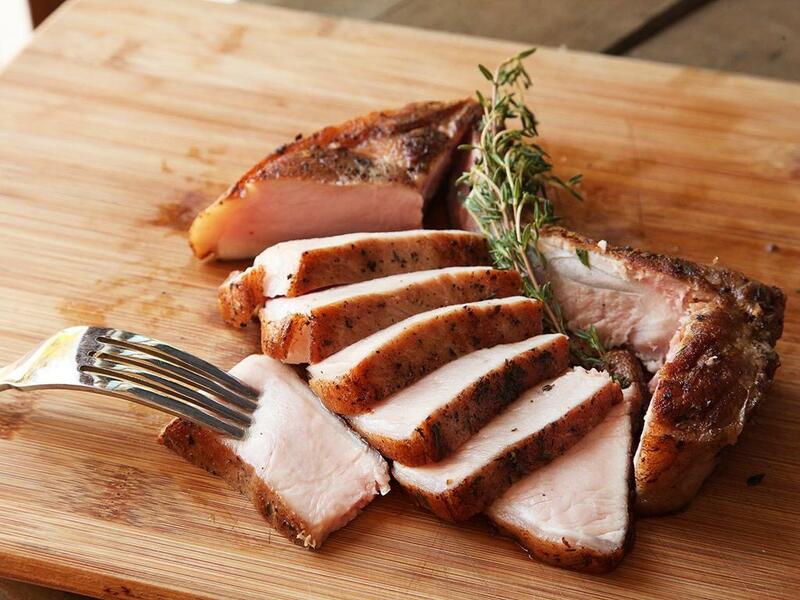 Pork compares favorably for fat, calories, and cholesterol with many other meats and poultry. 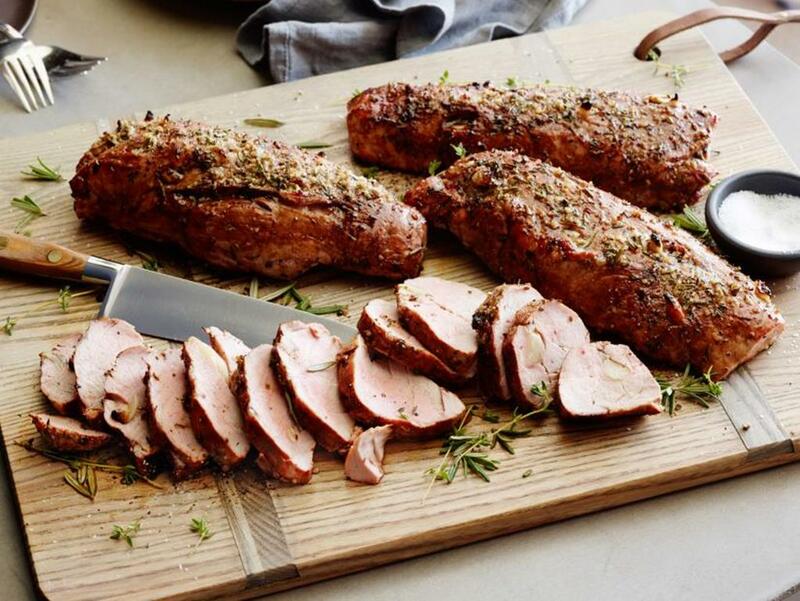 While providing a greater amount of vitamins and minerals, many cuts of pork are as lean or leaner than chicken. But as with all meats, the safe preparation, the cooking of pork to the recommended temperature – and the proper storage of leftovers – must be done in order to prevent food illness. The foodborne pathogens (organisms in food that can cause disease) that can be found in pork are: Trichinella spiralis, Escherichia coli (E. coli) , Salmonella, Staphylococcus aureus, and Listeria monocytogenes. 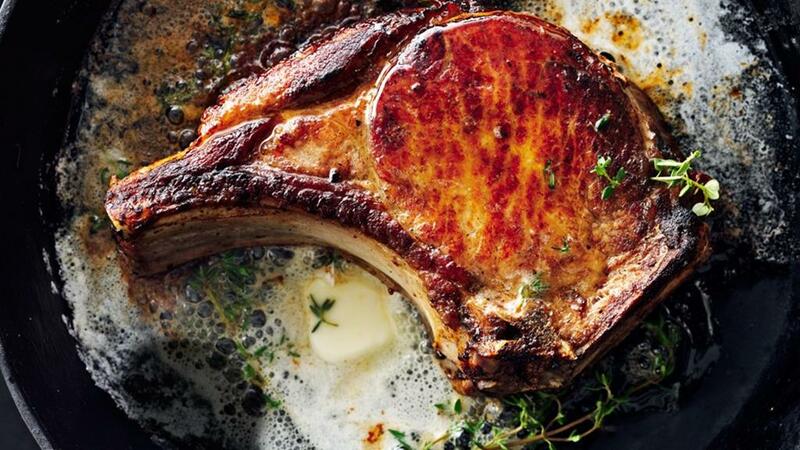 The Centers for Disease Control and Prevention (CDC) says trichinosis infections are less common than previous decades because of better pork production laws. 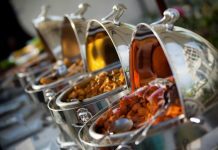 The parasitic illness is now more often associated with eating raw or undercooked wild game meats, such as wild boar and bear. 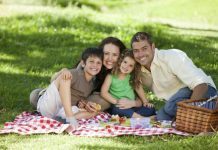 People can become infected with these bacteria by consuming raw or undercooked pork, or from the cross-contamination of food contact surfaces, such as countertops, cutting boards, utensils. Symptoms include: nausea, diarrhea, abdominal cramps, followed later by muscle pain, weakness, fever, headache, and sometimes inflammation of other organs. The USDA recommends cooking pork to an minimum internal temperature of 145°F – followed by a 3 minute rest time. Ground pork, like all ground meat, should be cooked to 160°F. Refrigerator – It’s best to plan ahead for slow, safe thawing in the refrigerator. After thawing raw pork by this method, it will remain safe in the refrigerator 3 to 5 days before cooking. Cold Water – Cold water thawing is faster than refrigerator thawing but requires more attention. Put ham in a leak-proof package or plastic bag and submerge it in cold tap water, changing the water every 30 minutes. Estimate about 30 minutes per pound of ham. If thawed completely by the cold water method, the food must be cooked immediately. The Big Thaw — Safe Defrosting Methods for Consumers (PDF). Ground pork patties and ground pork mixtures such as meat loaf to 160°F. Raw pork steaks, chops, and roasts to a minimum internal temperature of 145°F. For safety and quality, allow meat to rest for at least 3 minutes before carving or consuming. For reasons of personal preference, consumers may choose to cook meat to higher temperatures. 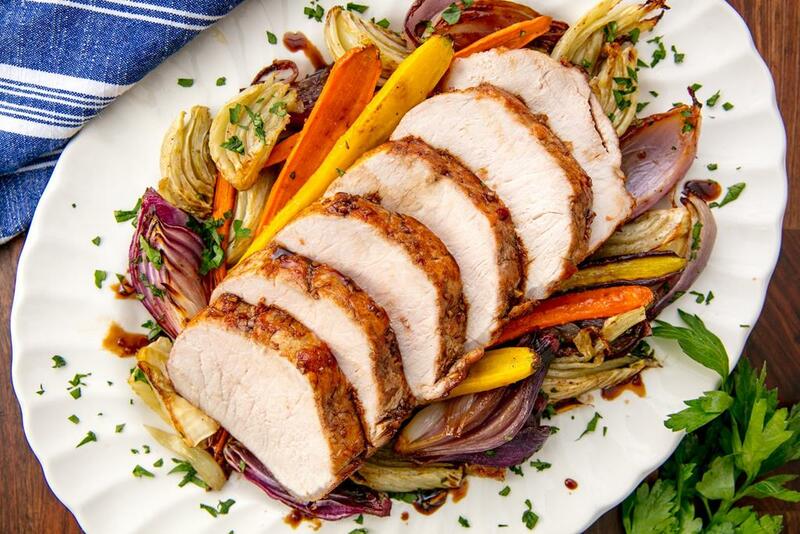 Following these pork cooking temperature guidelines will not only result in a safe eating experience, but also preserve the quality of your meat for a juicy, tender, delicious meal. 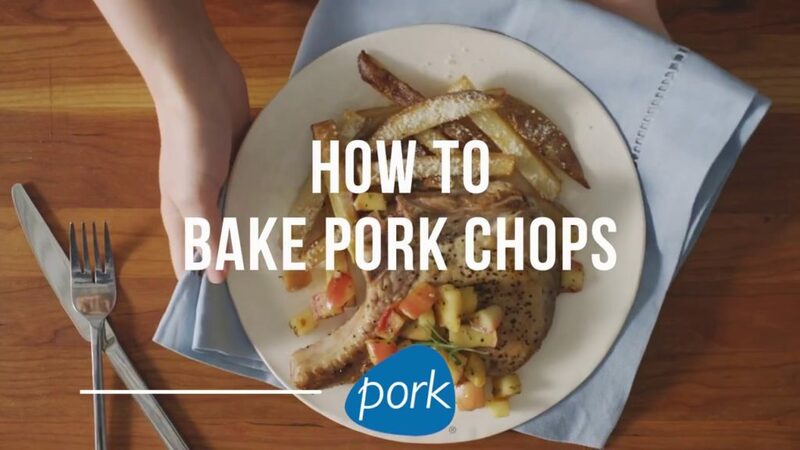 Learn about pork cooking with a library of short videos from the National Pork Board. Their videos include instructions on baking pork chops, brining pork chops and breading pork chops. Refrigerate leftovers within 2 hours of coming out of the oven. Leftovers will last for 4 days in the refrigerator. If you know you won’t use them right away, pack pork into freezer bags or airtight containers and freeze it. For best quality, use your leftover frozen pork within 4 months. Note: The National Pork Board does not encourage freezing cooked ham since it affects the quality and texture of the meat. 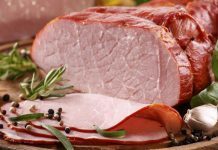 However, leftover ham for use in soups or casseroles can be cut up into slices or cubes and stored in the freezer for 2 to 3 months.